The classrooms were upstairs with no lift access. Trish Harris, 11, sat in her specially designed canvas “blue seat” and was carried up the stairs by two of her classmates, one on either side of her. 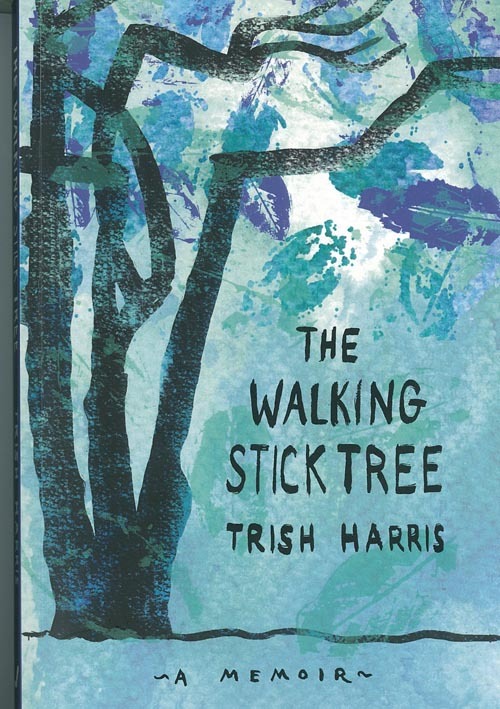 This is one of the many stories in Trish Harris’ memoir, The Walking Stick Tree, published in October by Escalator Press. She still has that blue seat with its straps, loops and belt, which helped her navigate her way around Viard College in Porirua in the 1970s. As a teenager, diagnosed with rheumatoid arthritis at the age of six, Trish just wanted to be like everyone else: to run, dance and stay up late. “I had a lot of friends who helped me in practical ways,” Trish recalls. “They understood my needs but inside me, there was a complicated dance to minimise my impairment. 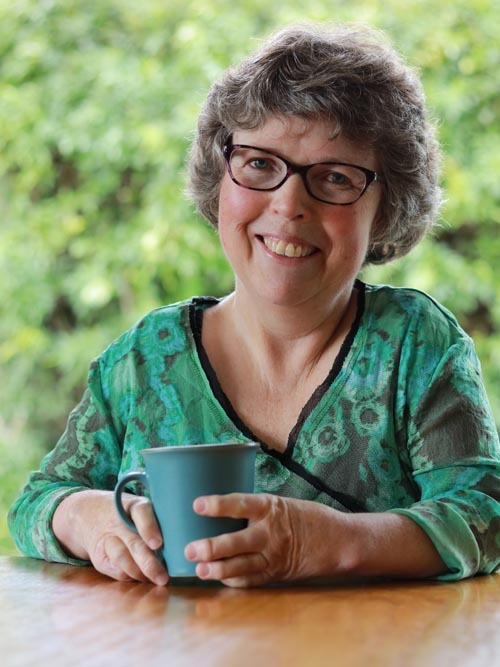 After school and gaining her drivers licence in her adapted red Honda Civic, Trish attended a one-year journalism course in Wellington and then had a second hip replacement operation. Leaving the security of her close-knit family in Plimmerton and moving to Palmerston North to take up her first job at the New Zealand Disability Information Bureau was a turning point, she says. Also pivotal was connecting with peers who were also disabled. She says it was liberating to talk about the “harder things” with people who had experienced disability. In 1997, Trish wrote her personal story, adding four essays to the manuscript in 2013 – essays that reflect on pain; loss, sadness and grief; identity; and the marriage of body and soul. Illustrations by Sarah Laing include sketches of the blue seat; her adapted car with its wheelchair hoist; four walking stick tricks; and five ways to carry a child. And in the essay The Dance of Identity, she examines her desire to avoid connections with disabled people in her younger years and how today those connections bring not only rewards but also another place to belong. Trish also hopes non-disabled readers will gain new insight and the essays will stimulate discussion. She’s looking forward to reading her work at an event on Saturday 12 November called Crip the Lit, one of the events in the LitCrawl Wellington programme. Trish’s work has been published in various anthologies and magazines, and broadcast on Radio New Zealand. She also co-founded Tigers and Tulips, a group that ran writing workshops for disabled women writers in Wellington. Trish no longer lives with the kind of pain she experienced growing up and in early adulthood – in part because the arthritis has “burnt out”. But also because she has made lifestyle changes. She has good support, works part-time, lives in a house built to meet her needs and a car that accommodates her wheelchair. One of five children, Trish says her family read the manuscript before it was published and their feedback was “pure support”. The Walking Stick Tree, published by Escalator Press and available for purchase in all good bookshops and online at the Escalator Press website. Original generation time 1.7242 seconds. Cache Loaded in: 0.0456 seconds.